Flourless Chocolate Cake with Strawberry Sauce. I mean come on. You gotta check the recipe out at Today’s Housewife! You won’t regret it. 🙂 It’s glorious. Absolutely divine. Chocolate and strawberries…a match made in heaven. Ooo, I need that cake! What a yummy looking dessert. And with that strawberry sauce? Mmmm…. Glorious is right! This is seriously amazing. Off to check it out. 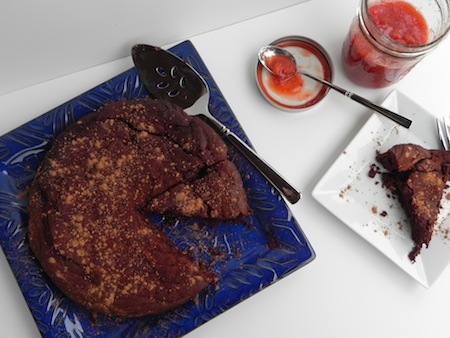 Oooh I love flourless chocolate cake and the strawberry sauce is a brilliant addition! Thanks for the link, it looks great.